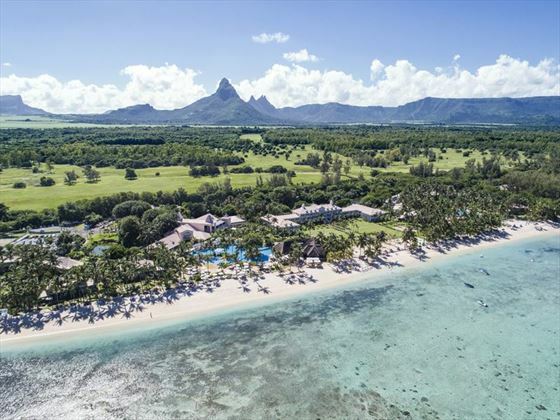 Boasting some of the most spectacular sunsets along the west coast of Mauritius, Sugar Beach Resort & Spa is an elegant retreat perfect for families and couples looking for fun in the sun. 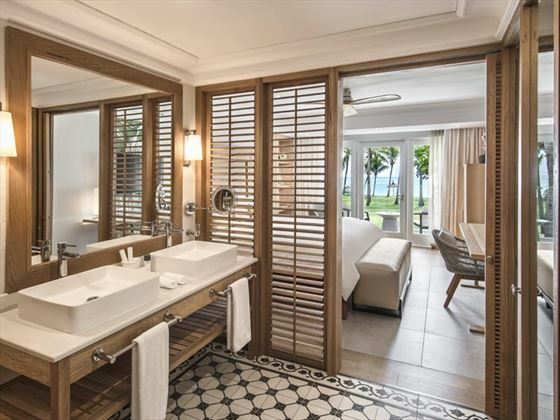 Exuding old-worldly sophistication alongside contemporary decor, the resort is clearly inspired by the bygone era, with plantation-style architecture and calming colours letting the ocean views do the talking. The rooms and suites are located either in the Manor House or in individual Villa Homes, and all adopt minimalist interiors with scenic terraces and balconies. All of the restaurants are perched by the beach, with al fresco seating for you to make the most of the glorious Indian Ocean weather. Stop by Buddha Bar Beach for gourmet cuisine alongside cool music and laidback beach-style décor, dine on wood-fire pizzas at Citronella Café, or enjoy an ice-cold beer at La Brasserie. 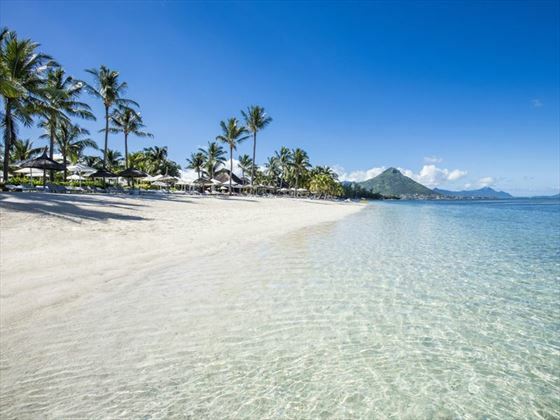 This is a brilliant option for families, with a whole array of fun activities including paddle boarding lessons, movies on the beach and crab fishing, as well as a colourful playground for younger guests to make new friends. NOTE: Sugar Beach will be undergoing renovations between 23 Apr 2019 and 30 Sep 2020. 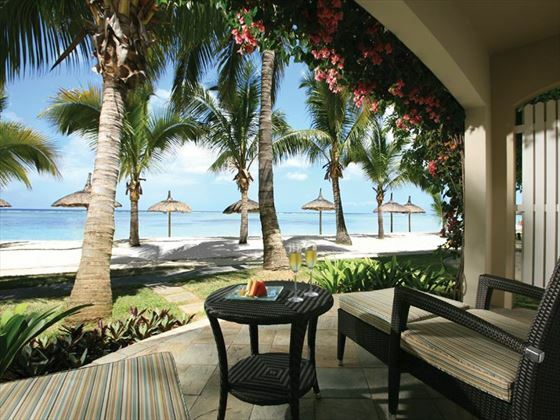 This gorgeous retreat is located near Flic-en-Flac, a charming seaside town on the west coast of Mauritius. 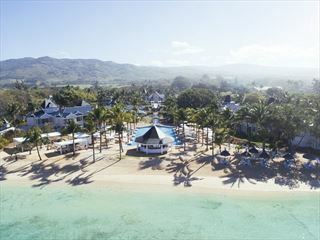 Nestled along a sheltered bay, you’ll be blessed with stunning views of crystalline waters and white sands. Garden Manor House – Cosy first floor or ground floor rooms located in the colonial Manor House, featuring a queen or king size bed, tropical interiors, and a spacious terrace or balcony. Some rooms interconnect. Sea View Manor House – Also located in the plantation-style Manor House, these ground, first or second floor rooms also feature a private balcony or terrace. Some rooms interconnect. 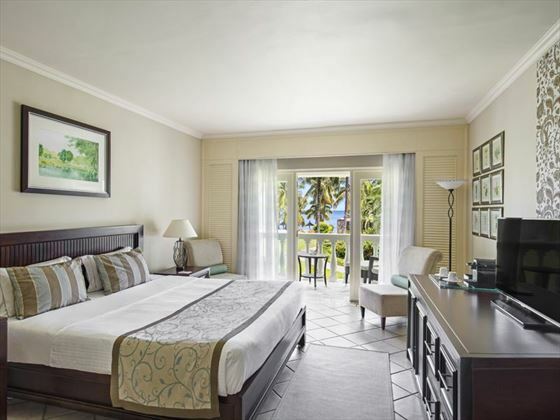 Sea Facing Villa – Spacious rooms located in the Creole-inspired ‘Villa Houses’ hidden amongst the lush exotic gardens. Located on either the ground or first floor, these have gorgeous garden views and a private balcony or terrace. Some rooms interconnect. 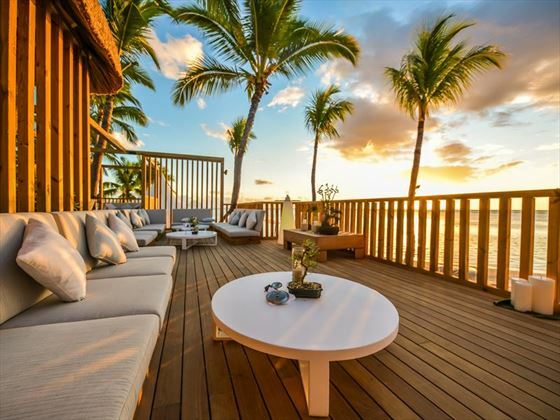 Beach Front Villa – Also situated in the scenic Villa Houses, these luxury villas boast direct beach access, amazing ocean views, a ground or first floor location and a private balcony or terrace. Some rooms interconnect. 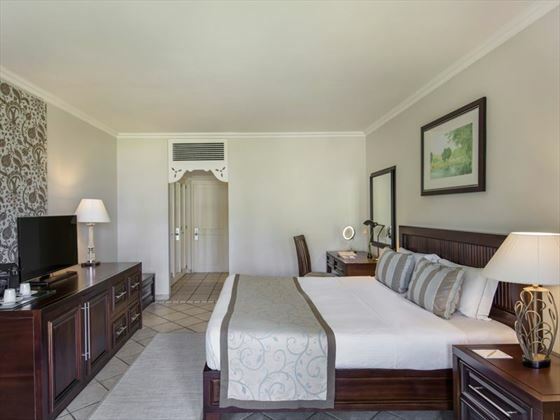 Family Suite – Sophisticated ground floor rooms consisting of two connecting rooms featuring twin beds and one queen or king bed, with picturesque garden views. They also feature a private terrace, and are located either in the Villa Houses or the Manor House. 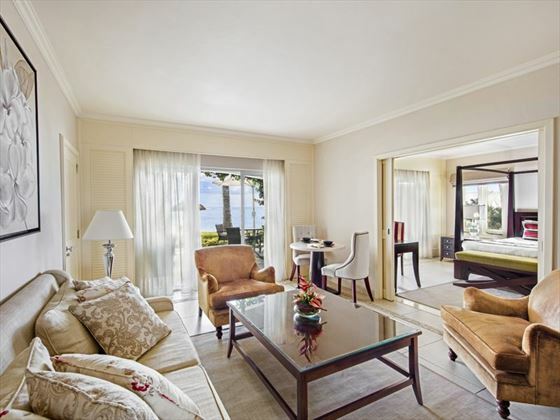 Sea View Family Suite – Similar to the Family Suites, these consist of two connecting ground floor rooms, with two twin beds and one queen or king bed. The private terrace looks out onto the sea. Located either in the Manor House or the Villa Houses. 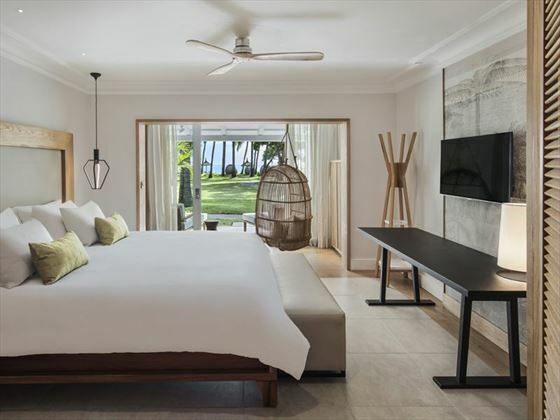 Sugar Beach Suite - These opulent ground floor suites boast an abundance of space, direct beach access and unsurpassable ocean views from the large private terrace. 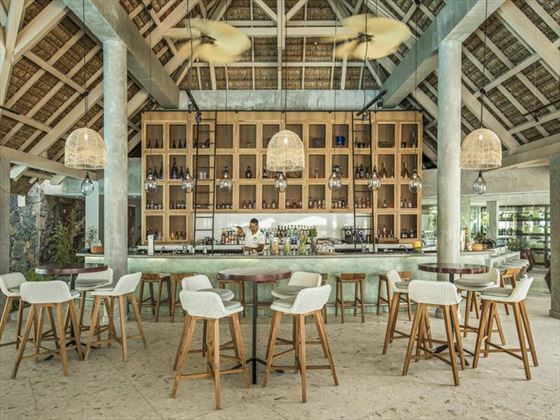 Buddha Bar Beach – A beautiful and laidback beachside restaurant and bar, boasting seaside-chic décor and delicious contemporary dishes alongside stunning ocean views and atmospheric music. Opening times: 10am-2am, lunch served 12.30pm-3pm, snacks served 3pm-5pm, and dinner served 7pm-10pm. Citronella’s Café – A cosy and charming restaurant with plantation-style doors opening out onto glorious beach views. This chilled eatery offers divine Italian cuisine, including wood-fired pizzas, fresh Mediterranean salads and succulent seafood. Opening times: 12.30pm-3pm (excluding Mondays), 7pm-10pm (excluding Sundays). Mon Plasir – A fantastic buffet restaurant rustling up a varied selection of international cuisine alongside an elegant setting. The open-plan venue offers tasty continental and English breakfasts, and brilliant themed dinners from around the world. The restaurant is located next to the pool. Opening times: Continental breakfast served 4am-7am, English breakfast served 7am-10.30am, late continental breakfast served until 11.30am, dinner served 7pm-10pm. La Brasserie – A classy bar that transports you to the bygone era, serving international beers on tap, amazing signature cocktails and a wide array of bourbons, whiskies and rums for an after-dinner tipple. Opening times: 6am-12am. Sports Bar – A contemporary bar where you can enjoy an ice-cold beer whilst watching sports on the big screen. Opening times: 9am-11pm. 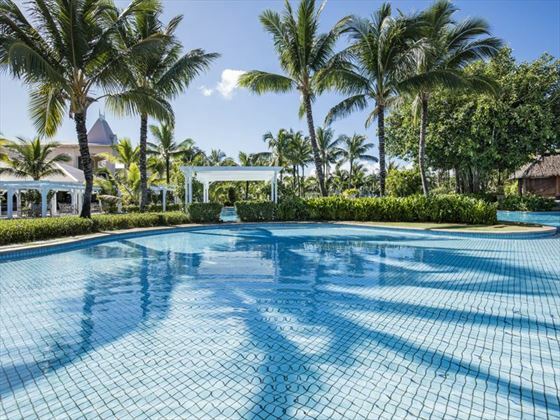 The Magical Kids Club at Sugar Beach - There are plenty of great child-friendly activities that will keep younger guests happy and excited, including stand up paddle boarding and windsurfing classes, crab fishing and even their own Olympic Games. There’s also arts and crafts, movies on the beach, and spa experiences. Opening times: 9.30am-10.15pm. Sugar Beach will be undergoing renovations between 23 Apr 2019 and 30 Sep 2020. Phase One: 26 Apr to 1 Aug 2019 - 77 rooms located on the Northern part of Sugar Beach will be closed for renovation during this time. Phase Two: 1 Jul to 30 Sep 2019 - 80 garden and seaview rooms in the Manor House will be closed for renovation during this time. At the same time, the Lobby & Mon Plaisir main restaurant will be renovated. 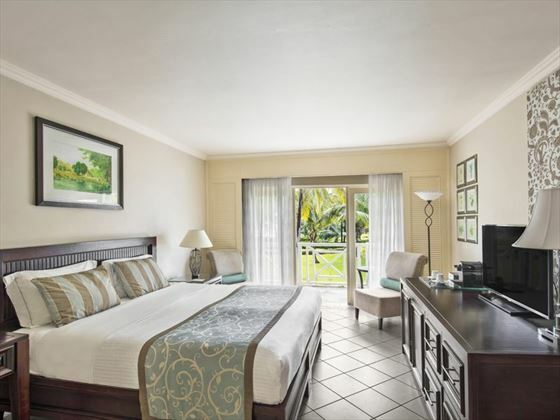 The hotel will still be in operation, with arriving guests availing of La Pirogue's reception. Phase Three: 1 May to 30 Sep 2020 - 101 southern rooms will be closed for renovation during this time. Citronella Cafe: 27 May - 31 Jul 2019 - a soft renovation will take place and the area will be boarded off. Remedial works are scheduled between 8am to 5pm. Citronella's lunch menu will be available at the main restaurant. Alternative dinner venues will be available on the beach for private functions, wedding anniversaries and events. 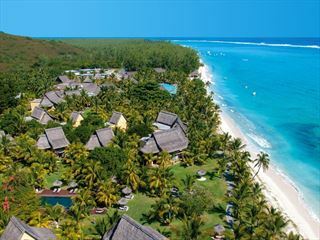 Alternatively, dining facilities will be arranged at La Pirogue Hotel, as well as the new Buddha-bar beach experience.